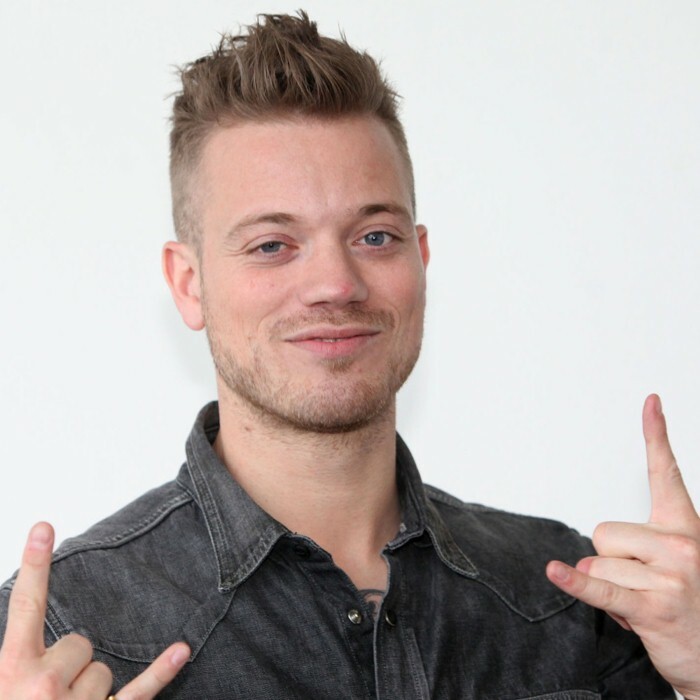 Gers Pardoel, born in the city of Nijmegen, is a Dutch rapper, with his own recognizable voice (and accent). He was mostly known from 'Broodje Bakpao', featuring Big2, Sef and New Kids. And currently became one of Holland's biggest stars. His single debut, 'Morgen Ben Ik Rijk', helped him rise to fame. Then hitting the charts big time with 'Ik Neem Je Mee' (which became the nr.1 song of singles ever sold in the Netherlands AND reaching over 15,000.000 views on Youtube.) the album cd 'Deze Wereld Is Van Jou' was released in 2011, also featuring the hits 'Bagagedrager' and 'Zijn', a duet with Guus Meeuwis and live on the big stage of the dutch summer popfestival Pinkpop, and a succesful single release version of 'Liever dan Lief' of and with dutch reggae band 'Doe Maar'. His second cd 'De Toekomst Is Van Ons' was released in May 2014 with 'Louise' released as single. In November 2014, Gers Pardoel released a new single named 'Dans met mij' featuring Willem of The Opposites.